NEW YORK (October 17, 2016) – Continuing its rapid growth as a leader in college sports marketing, Van Wagner Sports and Entertainment (VWSE) today announced it has reached multimedia rights partnerships with the tradition-rich West Coast Conference (WCC) and three of its member schools: Loyola Marymount University (LMU), Pepperdine University and the University of San Francisco (USF). As part of the multiyear agreements, the VWSE Collegiate Services division will manage and market the multimedia rights associated with the Conference and the three schools, as well as serve as exclusive sales representative for corporate sponsorship programs. The multimedia resources include broadcast assets; venue signage; marketing and promotions; promotional rights to athletic marks; access to tickets; and hospitality opportunities. “This partnership with Van Wagner Sports and Entertainment will result in continued growth and innovation for our conference and many of our member schools. We are confident in the team’s capabilities to help us cultivate new alliances and to ensure the best possible experience for our fans, partners and student-athletes,” said West Coast Conference Commissioner Lynn Holzman. VWSE is in the process of finalizing agreements with other WCC athletic departments to integrate institutional and Conference assets for a comprehensive marketing program for corporate partners. The WCC, as well as the three universities, share a long tradition of athletic success. The LMU Lions men’s basketball team made an inspirational run to the Elite Eight in 1990, while its women’s volleyball and soccer programs each advanced this year to the Sweet 16 in their respective sports. Pepperdine is the member of a small club in NCAA history, winning Division 1 championships in five different men’s sports – and nine overall – while its women’s volleyball program has won two national championships. And the Dons of San Francisco famously won back-to-back national championships in men’s basketball in the 1950s behind legendary stars Bill Russell and K.C. Jones – to add to a school trophy case which features eight other team championships and two individual titles. “We believe that the opportunities presented by this relationship with the WCC, other affiliated member institutions and VWSE opens possibilities for revenue and exposure that were not previously possible,” said LMU Athletics Director Dr. William Husak. “We are excited to partner with VWSE, and believe that the opportunities presented by this relationship open opportunities for expanded revenue and even more exposure,” said Pepperdine Athletic Director Steve Potts. Since its inception in 2014, VWSE Collegiate Services has grown to represent the sponsorship or multimedia rights for multiple schools and conferences, including the Central Intercollegiate Athletic Association, Florida International University, Georgia State University, Siena College and Stony Brook University among others. About the West Coast Conference The West Coast Conference was formed in 1952 and has evolved and grown to become a nationally recognized and competitive force in NCAA Division I intercollegiate athletics, with 15 conference-sponsored sports: baseball, men's and women's basketball, women’s beach volleyball, men's and women's cross country, men's and women's golf, women's rowing, men's and women's soccer, softball, men's and women's tennis and women's volleyball. The WCC is characterized by the stability of its membership and its unique emphasis on combining excellence in athletics with excellence in academics. 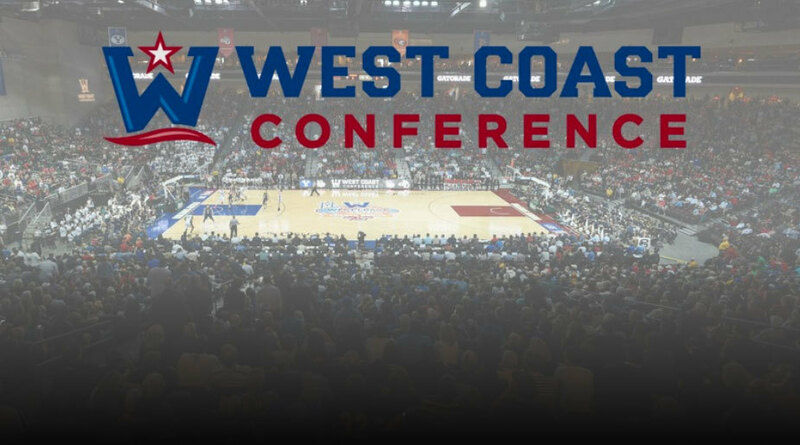 For more information, visit WCCsports.com and follow the West Coast Conference on Twitter @WCCsports. About Loyola Marymount University Athletics Located between the Pacific Ocean and downtown Los Angeles, Loyola Marymount University is a comprehensive university offering 60 major programs, 36 master's degrees and a doctoral degree in education from four colleges, two schools and Loyola Law School. Founded in 1911, LMU is ranked third in "Best Regional Universities (West)" by U.S. News and World Report. LMU is the largest Jesuit Catholic university for undergraduates on the West Coast, with more than 5,900 undergraduate students and more than 3,000 graduate and law students. LMU is a member of the National Collegiate Athletic Association (NCAA), competing at the Division I level, primarily within the West Coast Conference. Nicknamed the Lions, LMU offers 22 varsity sport programs, with men's basketball, women's basketball and women's volleyball playing in Gersten Pavilion. About Pepperdine Athletics Since making the move to Malibu in 1972, Pepperdine University's intercollegiate athletics program has carved out a unique niche that is perhaps unmatched by its NCAA Division I counterparts. No school with an undergraduate enrollment the size of Pepperdine has achieved such across-the-board athletics success during the past 30-plus years. Pepperdine has won NCAA Division I team championships in five different men's sports – one of just 17 schools to accomplish this feat -- and nine overall. Of that elite group, Pepperdine is the only school not affiliated with a major conference and is by far the smallest in terms of enrollment. Pepperdine has won a total of 25 team or individual national championships. Pepperdine is classified as an NCAA Division I-AAA school (Division I schools that do not sponsor football), and the Waves are one of the very best of their kind. Entering the 2016-17 school year, Pepperdine has won 194 regular-season or tournament conference titles and has had 297 student-athletes earn All-American honors. In the most recent NCAA Graduation Success Rate report (released November 2015), Pepperdine's overall mark of 90 percent was better than the national average of 86 percent. About University of San Francisco Athletics The University of San Francisco is committed to excellence in athletics as part of a larger commitment to educating students in the Jesuit Catholic tradition. USF Athletics is built upon Four Pillars of Success that aim to develop young men and women in this tradition: Excel in the Classroom; Win at the Highest Level of Competition; Engage in the Community; and Become Leaders in the World. USF Athletics strives to develop programs of national distinction while providing its student-athletes with a world-class educational experience at one of the nation’s leading Jesuit institutions. Educational opportunities, programs that compete at the highest levels of competition and student-athletes who become leaders in their chosen professions and communities are the cornerstones of USF Athletics. A charter member of the West Coast Conference, USF sponsors 15 NCAA Division I programs comprised of over 250 student-athletes. USF teams have won 10 national championships and two individual titles. About Van Wagner Sports and Entertainment Van Wagner Sports and Entertainment LLC (VWSE), a wholly owned subsidiary of Van Wagner Group LLC, is one of the preeminent sports marketing and media sales organizations in the world. It is an acknowledged innovator in property consulting and branding solutions and a global leader in naming rights, team and venue services, high-impact visible TV signage throughout the MLB, NBA, NCAA, MLS, and internationally in soccer, advertising and sponsorships sales, premium ticketing, technology design and integration, and in-venue content production. VWSE works with more than 300 professional and college teams worldwide. VWSE assists teams, organizations and properties in creating and selling advertising; sponsorships; and media that maximize revenue potential, and helps clients develop effective and powerful customized brand campaigns.